James Neihart and two companions located rich silver deposits at Neihart in 1881. By spring of 1892, the town was officially named after Mr. Neihart. Later that year a post office was established and Neihart's long history as one of Montana's largest silver producers had begun. The principal mines of the area in the early 1880s were the Queen of the Hills, Moulton, Ingersoll, Mountain Chief, Benton group and Florence. In 1891 a branch line of the Montana Central Railroad reached Neihart renewing growth in the nearly decade-old camp. Unlike many mining towns that lasted only a few years or decades, Neihart persisted as a mining center until World War II. The railroad branch line operated until 1945. Neihart survived into the 1900's as a silver producer, but it was Zinc that helped the town survive fluctuations in the silver markets. Demand for zinc skyrocketed during the World Wars, providing much needed stimulus of Neihart's mines. Neihart's fifty-plus mines produced over $15 million in silver and other minerals between 1881 and 1945. Feb 7, 1894: The mines of Neihart, Montana, the greatest silver camp in that state have resumed operations and are employing more men than ever before . Neihart anticipates a prosperous season, if no further decline in silver takes place. 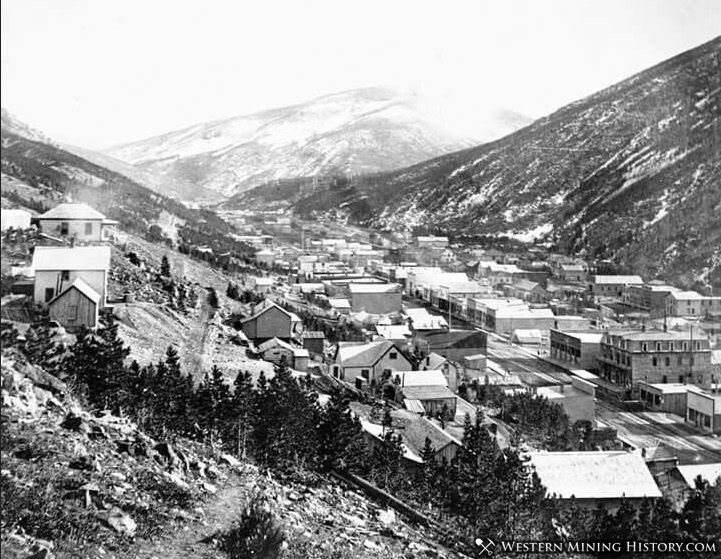 The Cripple Creek Morning Journal estimates that the shipments of smelting ore from the camp have averaged 140 tons per day during January, and thinks the mills are handling 300 tons additional every twenty-four hours.